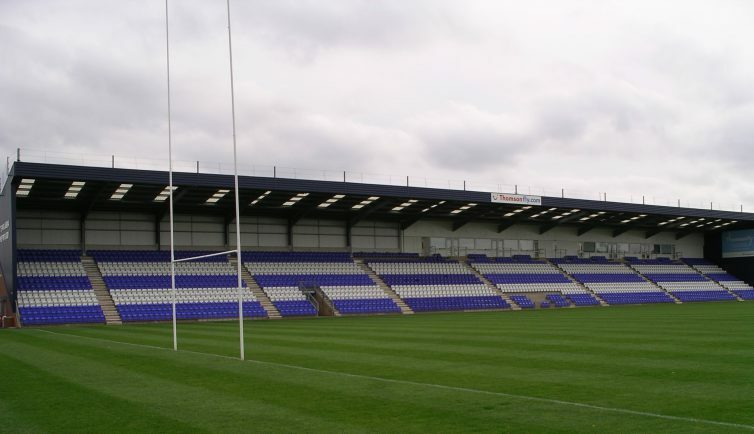 COVENTRY’S Butts Park Arena made history on Saturday after hosting its first-ever game of girls rugby. The U15 teams from Barkers Butts and Old Halesonians fought out a well-contested match in front of an appreciative crowd prior to Coventry Rugby’s Championship Cup win over Yorkshire Carnegie. And on a day when Barkers Butts product Rob Knox was named as the Rugby Paper’s man-of-the-match, the Meriden-based club logged a notable double when their girls claimed an exciting 29-22 success. Barkers built a 17-10 half-time lead, thanks to tries from Ellie Tranter, Abbie Kipping and Emily Knox. The second half was just as equally matched as Old Halesonians battled back to claim a 22-17 lead before the Warwickshire club turned things round, thanks to tries from Emma Bewley and a second for Emily Knox. Carl Southwell, Barkers Butts U15 head coach and chairman of the club’s girls section, said: “What an opportunity for our young ladies to play at such a great venue.